The School of Natural Resources is hosting Mike Forsberg and Pete Stegen for a documentary night featuring “Follow the Water” from 7 to 9 p.m. Jan. 31 at Hardin Hall Auditorium, 3310 Holdrege St. The event is free and open to the public, and parking will be provided in Hardin Hall parking lot. The documentary film, based partially on the Platte River Timelapse Project and produced by NET Television, tells the story of the journey of one droplet of water through the Platte River Basin. 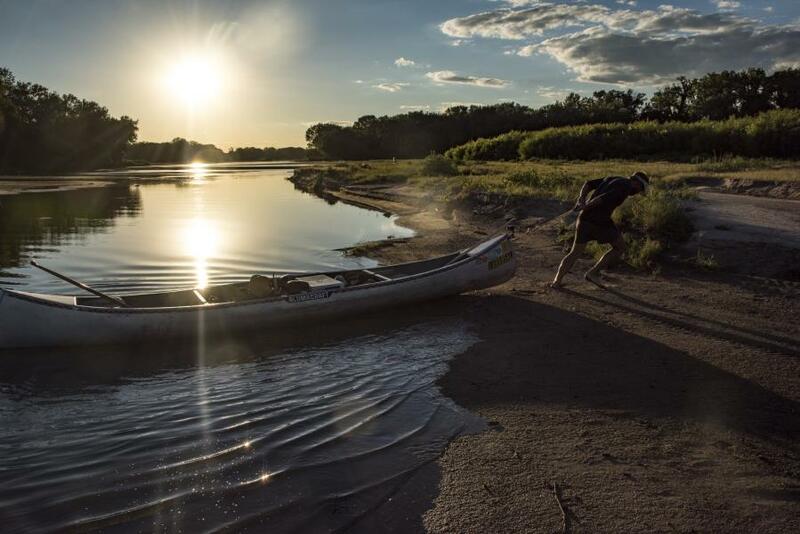 Forsberg, a conservation photographer and an associate professor of practice at the University of Nebraska-Lincoln, and Pete Stegen, a filmmaker, journeyed for 55 days through the watershed by bike, backpack and canoe gathering footage with their iPhones. So the duo made it personal. Forsberg and Stegen immersed themselves in the Platte Basin Watershed — hiking, biking and canoeing from the Wind River Range in Wyoming to the place where the Platte flows into the Missouri, and along the way, they met with dedicated conservationists and filmed their stories, while exploring the watershed and building connections between people, the environment and the land itself. A panel discussion will follow the viewing so the audience can explore the themes of the film with Forsberg and Stegen. “We hope this film makes people think about how precious water is and where your water comes from, know that rivers are our lifelines, and realize watersheds are communities to which we all belong. With that comes a lot of responsibility,” Forsberg said. At the end of the day, "we just want people to ask important questions," Pete Stegen added. Lesiak hopes people will get caught up in the story, appreciating one of Nebraska’s great natural resources as seen through the eyes of two conservationists, passionate about never taking the water for granted. The documentary movie night is sponsored by the SNR Community Engagement Committee, with assistance from NET, who provided access to the film for a public showing.